This pack contains 1 copy of Learning the Art of Helping: Building Blocks & Techniques + 1 printed access card to MyCounselingLab with eText. The sixth edition of the best-selling Learning the Art of Helping: Building Blocks & Techniques emphasizes the techniques and skills necessary to be effective in the art of helping, from basic building blocks to advanced therapeutic techniques. The text is practical, innovative, and focused on the relationship between helper and client. The author incorporates the latest research on effective treatments, while offering an integrative perspective. The author’s conversational tone is appealing to students, yet the book is carefully referenced for instructors. The goal is to make beginning helpers become “reflective practitioners.” Stop and Reflect sections, exercises, homework, class discussion topics, and Journal Starters support this approach. The sixth edition includes new sections highlighting issues of culture in research, challenges related to gender differences, and helping skills specific to children. 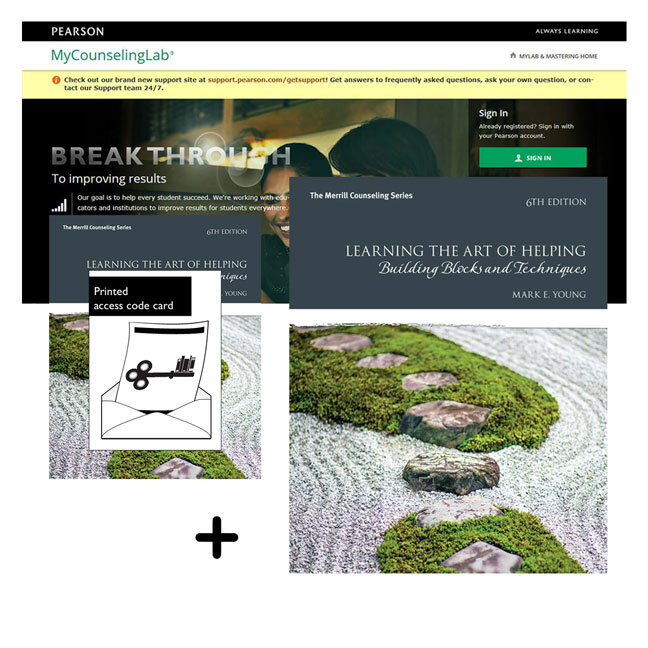 MyCounselingLab is an online homework, tutorial, and assessment program designed to work with the text to engage students and improve results. Within its structured environment, students see key concepts demonstrated through video clips, practice what they learn, test their understanding, and receive feedback to guide their learning and ensure they master key learning outcomes. MyCounselingLab is not a self-paced technology and should only be purchased when required by an instructor. The duration of access to MyCounselingLab is set by your instructor for your specific unit of study.